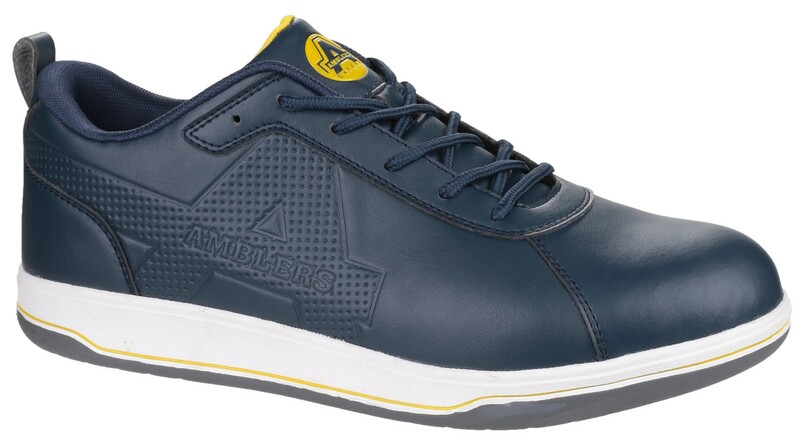 The Amblers As709 Lightweight S1 Safety Sneaker with Composite midsole. 1100 Newtons Penetration resistance and Energy absorbing seat region for flexibility, comfort and underfoot protection. Amblers Safety As709 Trainer: SRA boots - Slip Resistance against slipping on both steel and ceramic surface. Comfortable and durable, Rubber outsole heat resistant to 300 degrees Trainers from Amblers. Lightweight low cut safety sneaker with comfort moisture wicking lining and durable, flexible sporty style rubber outsole., 200 Joules steel toe cap, Non-metallic anti-penetration midsole. Antistatic, Energy absorbent heel, Rubber outsole heat resistant to 300 degrees. Materials: Mesh | PU | Rubber.